Fancy a weekend with a difference? The trip departs at 08:30 am on the 20th of September and departs Flat Holm at 10:30 on the 22nd September. All food and boat costs are covered by the Environment Wales Grant. Matt the Warden has put together a list of jobs he needs help with including various general maintenance, painting and vegetation clearing work. During the trip there may also be an opportunity to assist the Valleys Bat Group in undertaking a survey of the Island. You will have spare time to explore Flat Holm and enjoy a pint in the Gull and Leek. As a member you will be given special opportunities to experience island life and be invited to exclusive events. 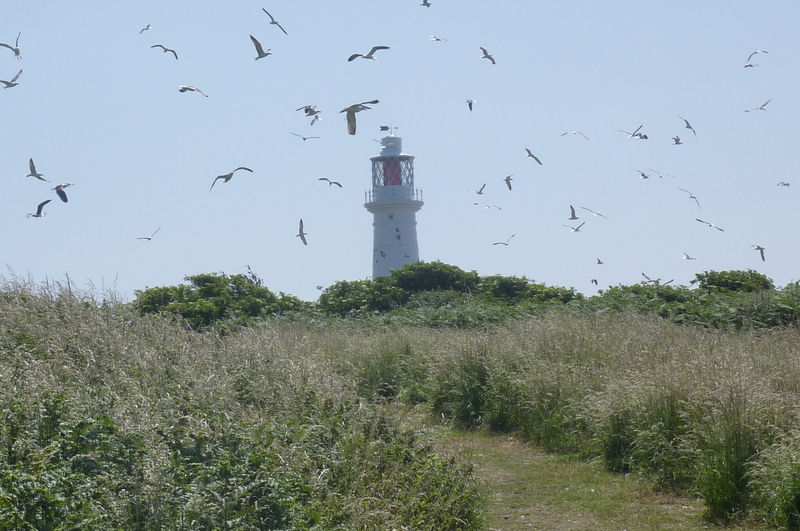 Your donation, no matter the size, will help us protect and improve the beautiful island of Flat Holm. You can help by getting involved in any aspect of the running of the island, and you don't even have to leave the mainland! Copyright © 2019 Flat Holm Society. All rights reserved. The Flat Holm Society is a charity registered in Wales no. 1000899. Other images by Gemma Bowcock, Sam Whitfield. All images used with permission. WordPress website by Dan Bettles.